Dr. Debra Johnson is a very experienced liposuction surgeon. Having treated hundreds of patients, this trusted surgeon is aware that there are many questions and misconceptions surrounding the procedure. 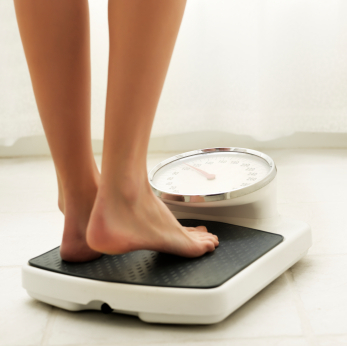 Patients often ask how much weight they will lose after liposuction. Here, Dr. Johnson answers the question in detail. Liposuction cannot help patients lose a lot of weight. The procedure works best for those people who are at a good weight and who have some fatty areas they can’t get rid of through diet and exercise. These fatty deposits can appear on the abdomen, upper arms, thighs, back or neck. By removing these fat bulges, liposuction can refine the body’s contours, creating a slimmer and more attractive physique. The effects of liposuction are permanent because once the fat is removed, it cannot return. But patients must understand that they will still gain weight if they overeat after surgery. With weight gain, the fat may thicken in other areas of the body that could also be unsightly. To enjoy long-lasting results, patients should commit to healthy eating and regular exercise. Overweight patients are usually not good candidates for liposuction. If you wish to lose a substantial amount of weight, you should do so via bariatric (weight loss) surgery or diet and exercise before or instead of undergoing liposuction. Although liposuction is not about weight loss, the majority of patients believe the procedure is a worthwhile investment. By removing unattractive bulges of fat, liposuction can improve your figure and your self-confidence! To learn more about liposuction from one of Sacramento’s top liposuction surgeons, schedule a consultation with Dr. Johnson today. Call (916) 929-1833 today.